Love this idea! Great for Christmas parties! 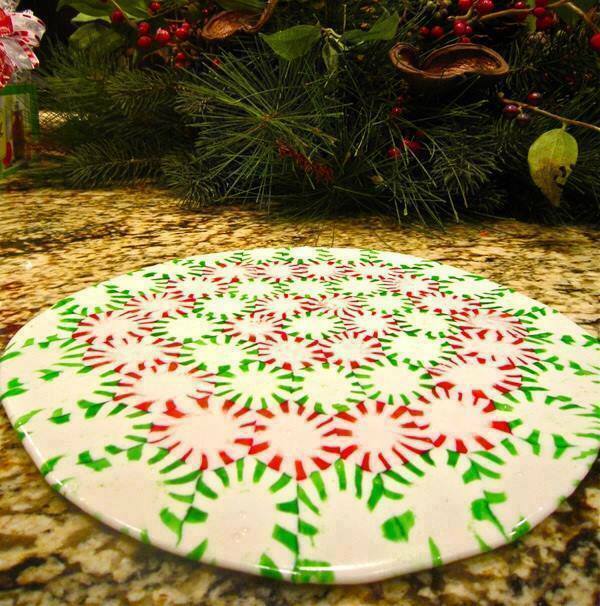 All you have to do is arrange mints on a cookie sheet lined with parchment paper, then bake at 350 for 8-10 minutes. Let your new tray cool completely at room temperature. This is a great idea for a plate of cookies that you don’t have to get back. LOVE this idea…don’t you?